Summer studies at UC Davis have a different feel than the regular academic year. To begin with, most Summer Sessions classes are compressed into six-week sessions. Even though you take fewer courses, they move at a faster pace, giving you a chance to really dig into one or two subjects. Some summer courses take place off campus — not always convenient when you’re juggling three other classes on campus during the academic year — and others are taught only in the summer. With hundreds of courses available to you, our two sessions become great times to explore alternative majors and career choices. Are you interested in engineering but not sure you can do it? “Drones and Quadcopters” (EAE 010, SS1) is one of the few engineering courses you can take as a non-major. A two-unit course, it can fit easily into your summer schedule. For careers that leverage creativity, consider “Video Games and Virtual Environments” (CMN 076, SS1), “Graphics and the Computer” (DES 16, SS2), “Global Fashion and Product Design” (DES 131, SS1) or other summer design courses, or delve into drawing, painting, or other art and art history courses. Are you fascinated with food? 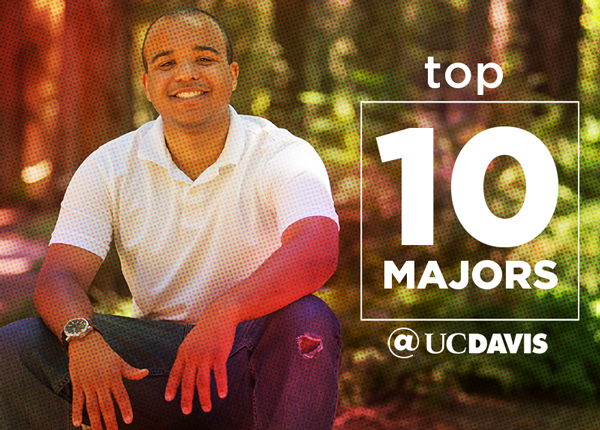 UC Davis is a world leader in food sciences and nutrition. Take your foodie skills to the next level and explore the sciences behind those Instagram pics. “Food Science, Folklore, and Health” (FST 10, SS1 and 2), “Food in American Culture” (AMS/FST 55, SS2) and “Discoveries and Concepts in Nutrition” (NUT 10, SS2) might introduce ways to turn your interest into a career. Want to know more about favorite UC Davis classes related to food and health? Read this great Spoon University article. If you’re considering careers in business or law, “Business Law” (ARE 18, SS1) is for you. Learn about bankruptcy and how to avoid mistakes that could get you into a lawsuit. There are a number of upper-division courses from the Department of Agricultural and Resource Economics offered over the summer as well. A minor can give you a great second skill set to boost your career and enhance your choices by demonstrating a depth of knowledge to potential employers. UC Davis offers more than 100 minors; some career-boosting minors options include technology management, communications and professional writing. Summer is a good time to shift gears and work toward a minor. All six courses for the technology management minor are available during summer. The only program available to undergraduates from the Graduate School of Management, this minor provides top-notch training in interview and management skills — it’s great preparation for the Internship and Career Center’s fall career fair. Knowing a second or third language is another great career booster, especially in our global economy. Language skills can lead to or support careers in the diplomatic corps, international business, dot coms, or the CIA, FBI or NSA. Summer Sessions offers 10-week language intensives that pack two quarters of instruction into one, giving the added bonus of immersion. Check out the Summer Special Sessions language courses. You would get the opportunity to learn Arabic, Chinese, German, Hindi, Japanese, French or Spanish. While you’re exploring majors and careers this summer, there’s still time to explore the campus and surrounding area. Here’s a look at some Surprising Summer Spots you can walk, bike or drive to when you’re ready for a break. Sharon Knox is director of communications for Undergraduate Education. She shares stories of the intellectual adventures of undergraduates at UC Davis. Sharon has traveled the world and studied at University of Maryland, St. John’s College in Santa Fe and University of Chicago, and believes that open-mindedness and genuine dialogue can make America civil again.